Jeanne Rose is the founder of New Age Creations, the first body-care company in the United States to use aromatherapy (since 1967). She is the Director of the Institute of Aromatic Studies, principal tutor of both the Herbal Studies Course and the Aromatherapy Studies Course - Practitioner by home-study. She brings 40 years of experience and personal research in her practice of Aromatherapy. 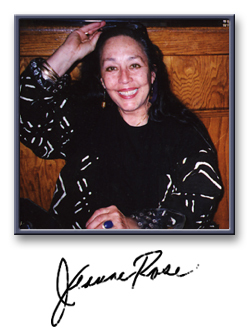 Jeanne Rose is the Executive Director of The Aromatic Plant Project (APP), past president of the American Herbalist Association; and President Emeritus of NAHA. She is active on the Education Committee of several aromatherapy organizations to select national guidelines for Aromatherapy education. Visit the Products page for Jeanne Rose Herbal BodyWorks and Aromatherapy Products essential oil travel kits.